『대혜보각선사서』는 중국 송나라의 대혜종고(大慧宗杲, 1088～1163)가 편지글을 모은 책이다. 대혜가 주로 사대부들에게 선(禪)에 관한 여러 가지 것들을 대답해 준 편지로 제자인 혜연이 기록하고 정지거사 황문창(淨智居士 黃文昌)이 중편하였는데,『대혜어록』30권 가운데 25~30권에 해당된다. 총 62편의 서신 중 승려에게 보낸 2편과 여성에게 보낸 1편을 제외한 59편은 모두 당시의 관료나 지식인들과 주고받은 서신이다. 서명에 표시된 대혜는 그의 자이고, 보각은 시호이다. 그 서명을 줄여서 ‘대혜서장’, ‘서장’, ‘서’등으로 쓰거나 부르기도 하나 주로 ‘서장’이라 일컫고 있다. 이 책은 경산묘희암송본을 저본으로 고려 우왕 13년(1387)에 번각한 판본이다. 표지는 가철되어있고 표제를 ‘대혜어록’이라 묵서로 썼다. 책머리에는 ‘대혜보각선사서’ 권수제가 있고 다음 행에‘참학혜연록’ ‘정지거사황문창중편’ 편찬자가 기록되어 있고 본문에는 구결이 있다. 권말에는 황문창의 후기와 1166년(건도 2) 8월 경산묘희암에서 간행된 간기가 있으며, 또한 1387년(우왕 13)10월 이색이 쓴 발문에 이어 주상전하를 위한 발원문과 시주질이 있다. 조선시대 강원에서 학습교재로 널리 사용된 책으로 특히 현재 유일의 고려본으로 조선 사찰본의 모본이 되었던 귀중한 판본이다. 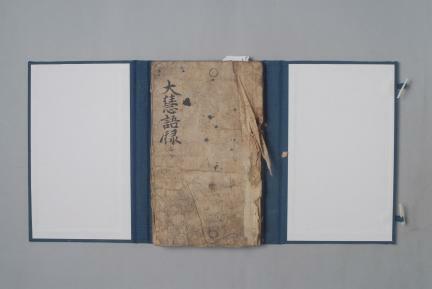 This is a collection of correspondence of the Song-dynasty monk Ta Hui Zonggao (1088-1163). 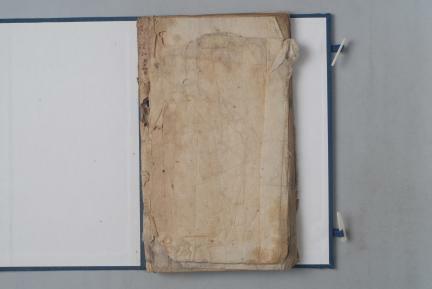 Letters contained in this collection are mostly answers to questions about Zen asked by scholar-officials. The letters are written in the hand of his disciple Huiran and were compiled by Huang Wenchang. 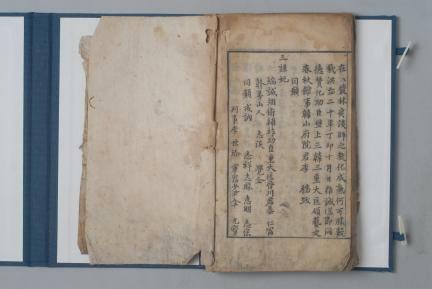 This book is part of Daehye eorok (Tahui yilu in Chinese, Sayings of Tahui), corresponding to volumes 25-30 of its thirty total volumes. Of the sixty-two total letters in this book, except for two addressed to a Buddhist monk and one sent to a woman, all others are addressed to Song officials or intellectuals. Daehye (Ta Hui) used to sign the letters is his courtesy name, and Hyeongak (Pu Chue) is his pen-name. 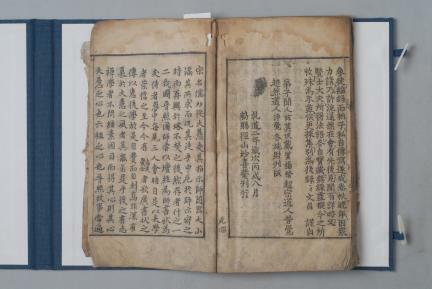 This collection of his letters is at times referred to as “Daehyeseojang,” “Seojang” or “Seo,” but most often “Seojang.” This book was printed in Goryeo, in 1387 (the 13th year of King U’s reign), with woodblocks carved based on the Song-dynasty edition of Miaoxian (Jinshan). The cover page, in an added sheet, displays the title Daehye eorok, written in ink. At the beginning of the book, there is the volume title Daehye Bogakseonsaseo, and beneath it, a secondary title Chamhak hyeyeonnook, and the name of the compiler, Jeonggeojisa Hwang Mun-chang (Huang Wenchang). The text has gugyeol (oral formula) markings. 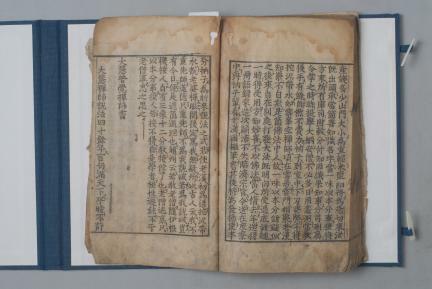 The postscript by Huang Wenchang is added at the end of the book, along with the date and place of publishing; the eighth lunar month in 1166, Miaoxian, Jinshan. 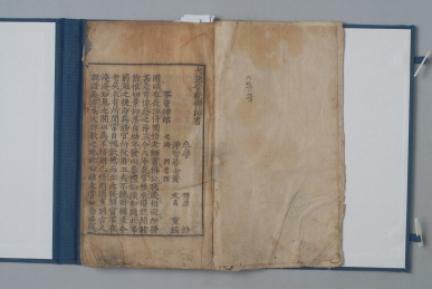 This is followed by a postscript by Yi Saek, dated 1387 (the 13th year of King U’s reign), a text addressed to the king, and the list of names of donors. 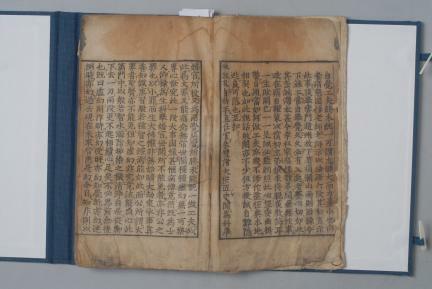 The collection of Ta Hui’s letters was widely used during the Joseon Period, as a textbook in Buddhist seminars, and this book, the only surviving copy of a Goryeo edition, served as the base text for editions published in Joseon temples.